An easy addition to your BBQ. Adding a fresh kale salad will bring a summer feel to your meal. Wash and chop the kale, if you bought it fresh and not bagged. Slice the onion very finely and cut the orange into small pieces. 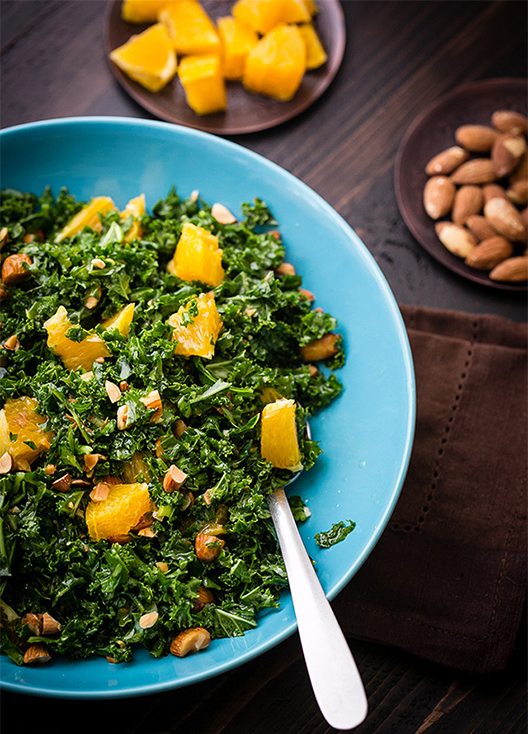 Combine the kale, orange, onion and nuts in a salad bowl then make the dressing. Combine the vinegar, oil, salt and black pepper in a mason jar or bottle. Shake vigerously and pour over the salad. Toss and serve.